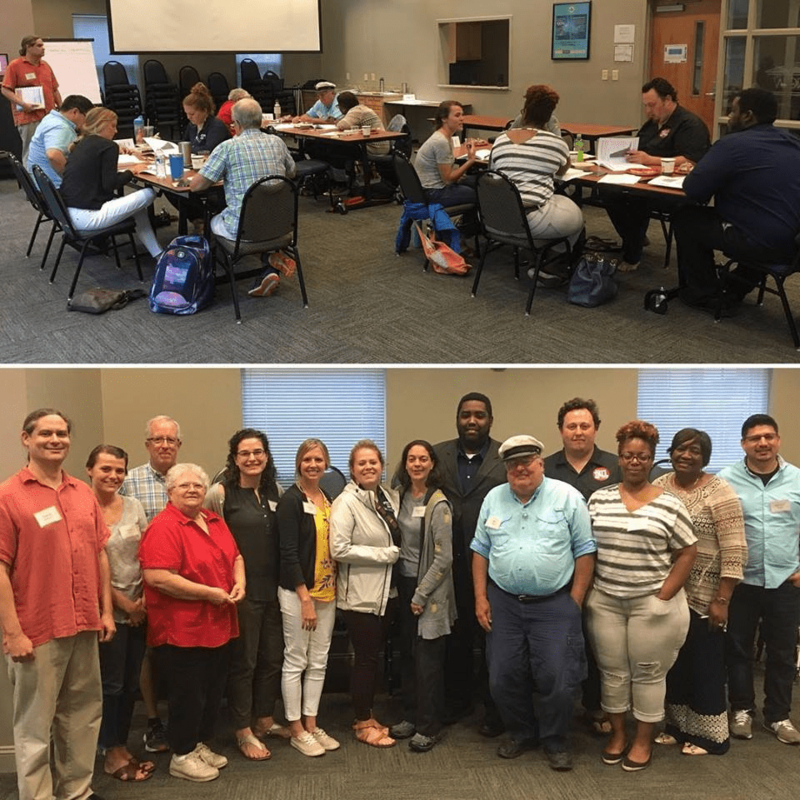 Describe your event: On Saturday, May 19th the Alliance for Economic Justice held its first Reversing Runaway Inequality workshop for 13 community allies. The workshop was facilitated by Sarah Daniels and Daniel Buffington (perhaps the first husband and wife team to lead one together? ), with help from master trainer Cesar Leyva. Most of the people who attended expressed an interest in joining the Alliance or one of its 4 working groups tackling economic injustice. As such, we plan to host at least two more before the end of the year. Tell us about your Reversing Runaway Inequality training event and we’ll share it here.